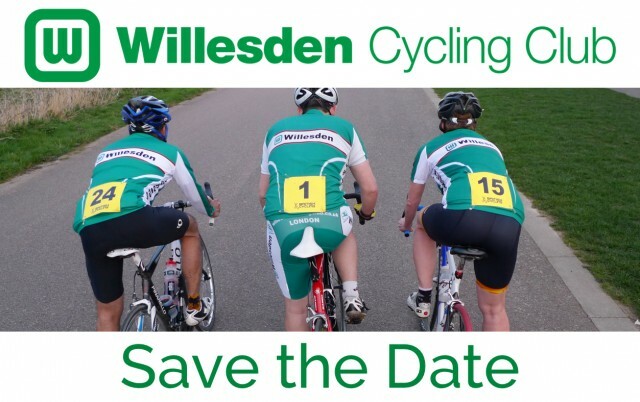 On behalf of the committee, I am delighted to announce the date of the Willesden Cycling Club Annual Dinner and Awards Ceremony. You are cordially invited to save the evening of Saturday, 24 January 2015 in your diaries, for a fabulous night of fine dining and celebrating the achievements of our members throughout the year! Festivities will begin from 6:30pm. The dinner will take place at the beautiful four-star De Vere Denham Grove Hotel, Denham, Buckinghamshire. Overnight accommodation will be available. Full details to follow. If you have any queries in the meantime, please contact me. I would especially love to hear from anyone who is interested in helping out. p.s. Bonus points shall be awarded to those who can guess the identities of the behinds above, in the comments below! Tickets: Booking information to follow.